You know the situation here is bad when family and friends in Egypt are worried about me because of police brutality and not Islamophobia. The latest tragic shooting of police officers in Dallas and Baton Rouge is changing the conversation and debate on police brutality and racism in this country. A cop in Cleveland implicated President Obama “….the president of the United States has blood on his hands that he will not be able to wash off.” Even a black Police Sheriff in Baton Rouge thinks Black Lives Matter is a terrorist organization. In an election year politicians’ rhetoric and even President Obama’s fears have heightened the situation, widening the gap between police and the communities they serve. 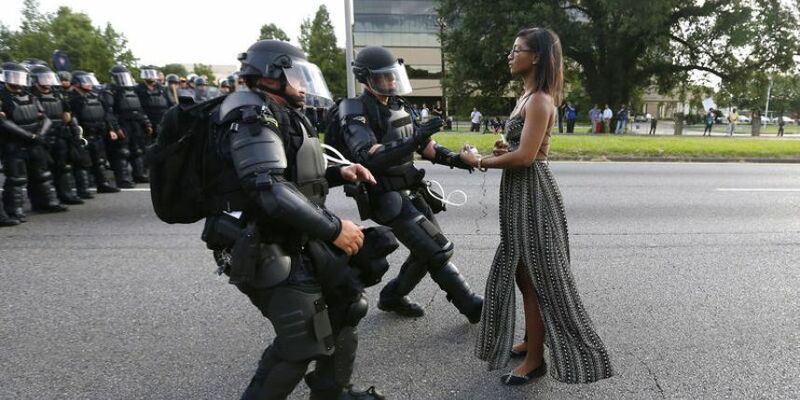 However, it has become clear that in America, police brutality against black people runs deep, and is widespread. 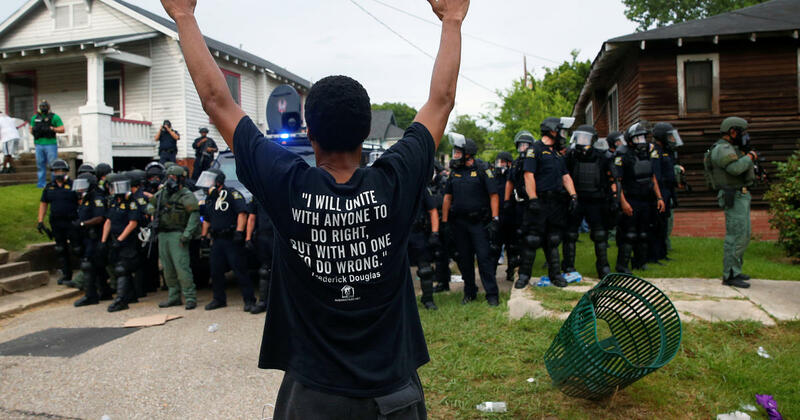 Structural racism in our police department and justice system has become hard to ignore. The recent video of Philando Castile bleeding to death from the bullets of St. Anthony police has triggered a lot of anger and frustration among millions of Americans; just like millions of Egyptians, who felt the pain of seeing the gruesome image of victims all over Egypt. Police brutality cannot be ignored. With the increase in social media and smartphones, millions of Americans are waking up to this dark reality, marching in the streets and demanding justice for Jomar, Castile, Sterling, and other victims of police brutality. Is this the new American Spring, similar to what happened six years ago with the Arab Spring? – not quite, but the similarities are hard to ignore. Young black men are arrested, frisked, searched, and sometimes shot walking down the street while young white men are playing Pokémon Go in the streets. John Crawford was shot and killed by police for playing with a toy gun. Jonathan Ferrell was killed by a white officer as he was asking for help after a car accident. Tamir Rice, a 12-year-old boy was executed in public by the Cleveland police in seconds. Jamar Clark, a 24-year-old man was killed by police in Minneapolis. Young black men are killed at an alarming rate. With the spread of phones and social media, we can all instantly see images of police brutality against black people. People across the United States are fed up of seeing images of black people gunned-down by police. Even President Obama is tired of attending funerals of black-victims of police brutality. The Arab Spring was sparked by images of police brutality in Tunisia, Egypt and elsewhere. The Egyptian revolution started with a national grievance of their own when Egyptian security had stormed a cyber café, arresting, torturing and killing a young Egyptian activist named Khaled Saeed. They threw his corpse onto the street like animals. The repugnant image of Mr. Saeed’s disfigured face, similar to the image of Mr. Castile’s bleeding body, was widely circulated on social media and brought millions of Egyptians to the streets demanding justice for Khaled Saeed. In the same way as the Black Lives Matter movement, the We Are All Khaled Saeed movement was born. 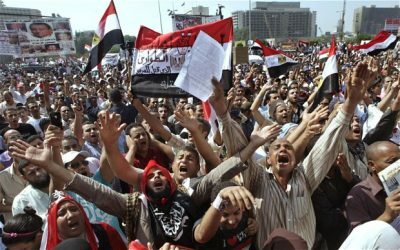 It was the engine of the Egyptian Spring that eventually toppled the longest and most devastating dictatorial regime in Egyptian history. In the United States, black men are gunned-down by white policemen, even when complying with rules and following their mothers’ street survival advice. Levar Jones was shot by a white police officer and Eric Garner was choked to death. He struggled to say “I can’t breathe” but the police officers continued to suppress him. Five years earlier, millions of Egyptians poured onto the streets demanding justice for Khaled Saeed and a stop to the killing and torture of Egyptians. Like the We Are All Khaled Saeed movement, Black Lives Matter is leading the way against police brutality. People are marching in the streets demanding justice and calling a stop to the killing of black men. 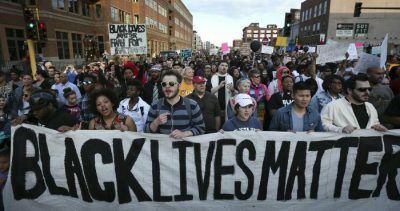 I covered a few of the Black Lives protests here in the Twin Cities and was also in attendance when the people protested in Tahrir Square, this bearing a startling resemblance to the streets of Minneapolis, Ferguson, Dallas, New York and cities throughout the United States. Both Egypt and America have images of demonstrators chanting and holding signs that condemn police brutality. Their spirit for justice is present, along with anger filling the thick air. Both in Egypt and the U.S., there is a national revolt against police brutality and against corrupt systems. The Black Lives Matter movement as well as the We Are All Khaled Saeed movement encapsulate the need for a justice-filled society. Millions of Egyptians realized they share the same fate as Khaled Saeed, and millions of Americans are now waking up to the dark reality of police brutality towards black people. The real tragedy of all this is that during the height of the revolution, Obama the Noble Peace prize winner asked of Egyptians to be Sylmaya Sylmaya…Peacefully Peacefully. However, later on, Obama supported the military coup and the counter revolution that crushed millions of Egyptian hopes and inspirations. According to the latest Amnesty International report, Egypt, since being taken over by General el-Sisi‘s military coup, has become a brutal police state with widespread human rights abuses: torture, executions, political killings and forced disappearances; where children as young as four disappear on an average day. A nine-year-old was snatched from his family late at night by police. Mazen Mohamed Abdallah, a 14-year-old was taken by security forces: he was repeatedly raped with a wooden stick to extract a confession, according to Amnesty International. As Obama acted as Preacher and Chief at the Dallas Memorial service, he recited from the Bible and became teary-eyed over police brutality. 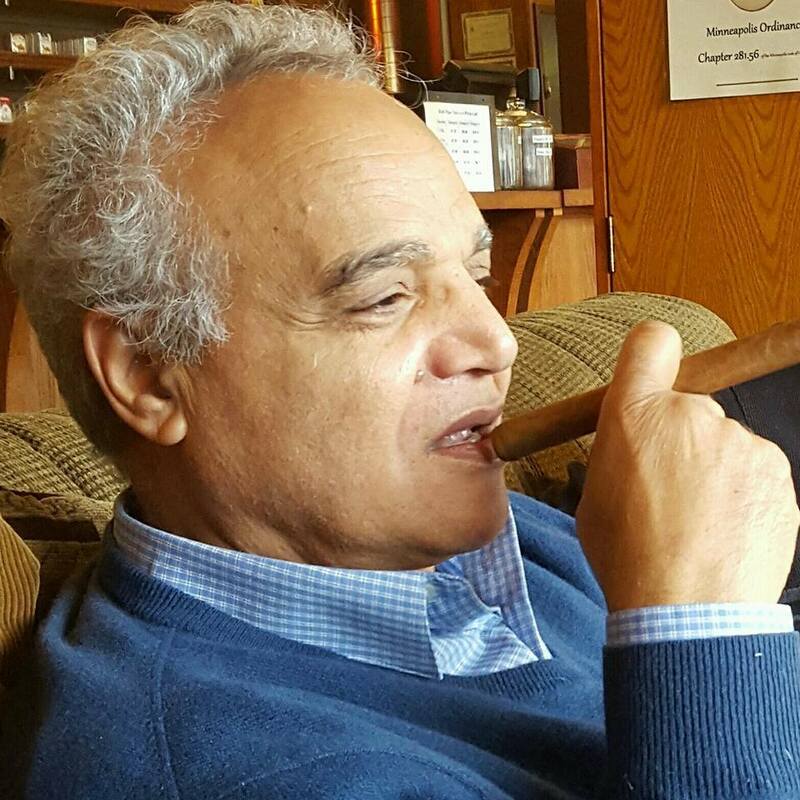 At the same time, he was sending weapons and financial aid to general el-Sisi. The general is engaged in a jihad to rid Egypt of any dissenters, el-Sisi having become our henchman in the so-called “War on Terrorism”. Now that the brutal images of police brutality are back in full swing in Egypt, Obama is looking the other way. Lots of Americans , as the Egyptians did before them, now recognize that the main job of the police is to protect the system, regardless of whether or not the system is brutal and despotic like Egypt, or brutal and racist like it is here in the USA.